East is the governing direction of solar deity- Sun god and most significant direction in Hindu cosmology from where all positive energy springs to brighten the earth surroundings. According to Vastu Shastra there are four cardinal directions recognized as a square and all the four directions have a conjunction point. East is the foremost direction in Vastu which is the place of all auspicious energies, that is why East facing plots are recommended as dwelling place. The auspiciousness of East direction is recognized to bring good luck, peace, prosperity, harmony and health by effectively using the space with Vastu norms. Although not only East direction alone can bring riches and good health but there are many other factors which determines the auspiciousness of place. East is the ideal direction for the construction of living place but inmates can attain the riches of life only after utilizing the space with Vastu. East direction has huge significance in our life because this is ruled by solar deity i.e. 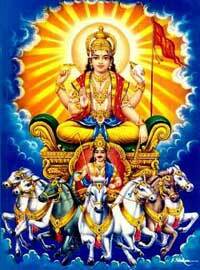 Sun god who is the essence of life and illuminates the world by shining bright. On the other hand East is the most favourable in the all the four cardinal directions in Vastu Shastra. Being an important direction and place of positive energies East ancient considers it the most significant and ideal direction to dwell. Therefore this area should ideally be left open with more space for sunlight and Vastu suggests having entrance door in East only.